AnalogueTrash | No Boundaries. No Scenes. Est. 2009. Vieon return in 2019 with a time-travelling look back at one of the most unusual and rare albums ever to be released. British synth band and self-styled indiepop chameleons Spray have announced their fifth studio album, Failure Is Inevitable, for 2019. We’re really excited to be returning to our Northern home, Manchester. We’ve spent the last few years working closely with AnalogueTrash who’ve helped us with everything from releasing V3 of our compilation to keeping an ear on the ground to what our fans want to see on stages. Read on to find out more. Canada domiciled, Toronto based ATOMZERO – aka Peter Godziszewski (synths, programming) who formed the band in the UK back in 2001, and Andrew Hunter (vocals, arranging) – are certainly back with a bang with the new video for their single Automatic – their first new music since 2015 and premiered over on The Spill Magazine. 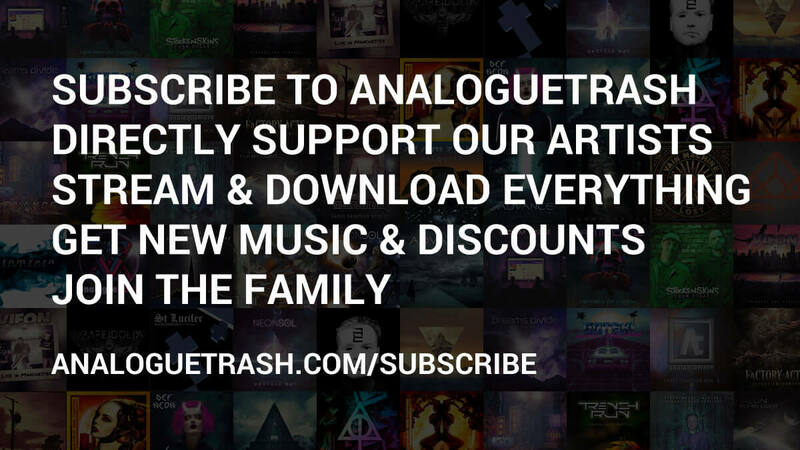 Sign up to our mailing list and be the first to hear about new AnalogueTrash label releases, events and related projects. Our mailing list is the best and most reliable way to keep in touch with us. … and confirm it’s cool to e-mail you. We’ll use your e-mail address to send you occasional newsletters and promotional stuff. Please tick the box below to confirm you’re ok with this. You can change your mind at any time by clicking the unsubscribe link in the footer of any email you receive from us, or by contacting us at hello@analoguetrash.com. We will treat your information with respect. For more information about our privacy practices please visit this page. By clicking below, you agree that we may process your information in accordance with these terms.